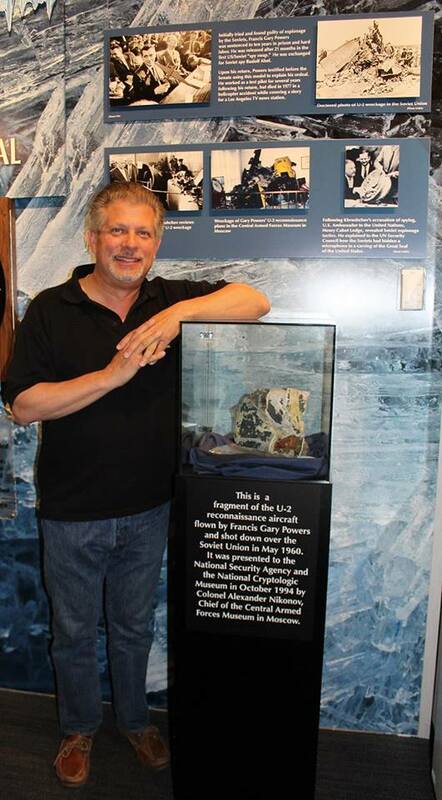 The National Cryptologic Museum (NCM) was honored to welcome Francis Gary Powers Jr. at the end of April 2018 when he escorted a group from Senior Outdoor Adventures in Recreation for a tour of the museum. Gary Jr. is the namesake of the pilot who was shot down in his U-2 Reconnaissance Aircraft over Soviet airspace in May 1960 and held prisoner in the Soviet Union for 21 months before his release a part of a "spy exchange." His story is told in the Cold War section of the NCM. You can also learn more via the Event Calendar item regarding Gary Sr.'s release. Gary Jr. is Founder and Chairman Emeritus of The Cold War Museum in Midlothian, Virginia. The Cold War Museum will run a table at the Armed Forces & Police Celebration at the NCM on May 19, 2018.